Richard Reacts: I wanted to post this for the sole purpose of finishing my point. Remember when Christian beat Alberto Del Rio in Edge&apos;s spot and won the World Heavyweight Championship back in May only to lose it a couple days later at the Smackdown taping? This sparked similar outrage from Internet fans who contested that WWE made a crucial mistake in taking the belt off Christian, who many felt had earned the opportunity. I spoke with Edge about this back in August and he told me he was not upset because he understood the bigger picture and he&apos;d rather Christian be the top heel on Smackdown. I still do not agree with the decision WWE made but no one from upper WWE management reacted and let the storyline play out. Vince McMahon certainly didn&apos;t take to Facebook and Twitter to laugh about how he pulled the wool over the most passionate part of his fan base. 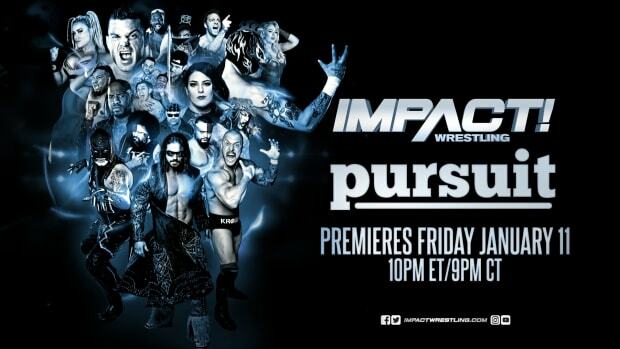 While I will reiterate the fact we don&apos;t know the full picture, I will tell you what we do know: * TNA ran a confusing three month tournament that was marred by confusing point scenarios and injuries leading up to Bobby Roode getting a title shot at Bound For Glory. They even dedicated a pay-per-view to the tournament in No Surrender. * TNA held their biggest show of the year on Sunday and instead of putting over the guy they&apos;ve been building since June, they put over Kurt Angle. * Two nights later and the company swerves and puts over James Storm for the TNA Championship in two minutes. Now rather than letting their programming speak for itself, Bischoff and Hogan decide it would be better off to dial in on the most passionate part of their fan base (the Internet) and laugh because they don&apos;t know the full picture. My point is we aren&apos;t supposed to know the full picture so how does that justify mocking the same people that are passionate enough to care about the booking of the product in the first place?